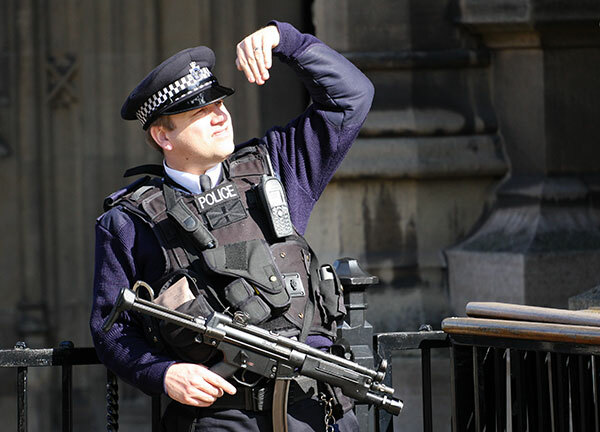 The largest armed Metropolitan Police Service (MPS) branch, Parliamentary and Diplomatic Protection (PaDP) are responsible for the protection of the diplomatic and government communities in Central London. The PaDP is a branch of MPS Protection Command. The PaDP was formed in April 2015 by combining the previously established Diplomatic Protection Group (SO6) and the Palace of Westminster Division (SO17). The PaDP provides static armed protection for embassies, consulates and other diplomatic premises. Armed PaDP officers also stand guard at important government buildings such as No. 10 Downing Street. PaDP also guards the Palace of Westminster and New Scotland Yard. PaDP AFOs provide armed protection for hospital patients under threat. They support SO1 Specialist Protection by providing residential protection for VIPs staying at hotels. A number of PaDP Armed Response Vehicles (both cars and motorcycles) patrol Central London. Their primary role is to provide a mobile response for the diplomatic and government community but they may also respond to general armed criminal activity in the area. 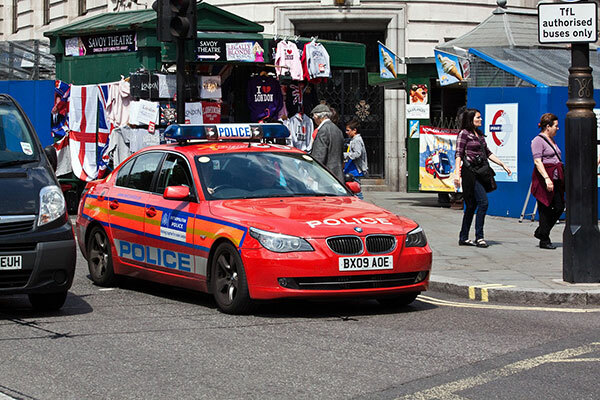 Painted in a distinctive red scheme, a Diplomatic Protection Group Armed Response Vehicle pictured at Trafalgar Square, July 2011.
update: both the DPG (now PaDP) and SCO19 have moved away from BMW 5 Series cars towards BMX X5 4x4s for their ARVs. A BMW X5 Armed Response Vehicle, July 2013. PaDP provides armed support for state and ceremonial occassions such as Trooping The Colour. This support includes counter reconnaissance (surveillance) and the provision of rooftop snipers. PaDP trains a number of Rifle Officers who contribute to the Met's Rifle Section, a pool of around 60 specially-trained marksman who deploy to provide overwatch and counter-sniper cover for high profile ceremonial occassions and security operations such as visits by heads of state. The Section is drawn from Rifle Officers from The Diplomatic Protection Group, SCO19, SO18 Aviation Security and other Met units. Bolt-action rifles used by the Rifle Section have included the Enfield Enforcer, Steyr SSG 69 and Accuracy International AWS.